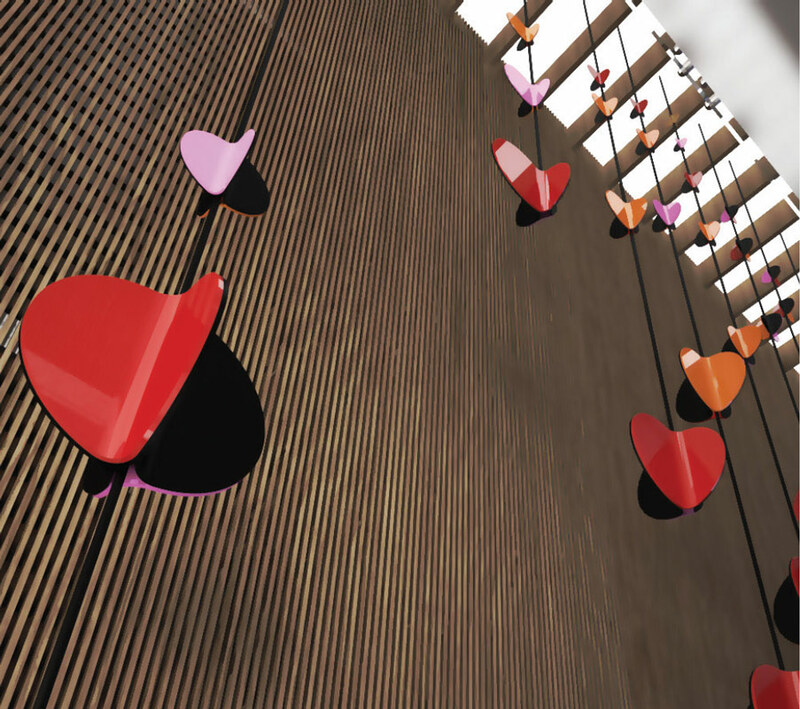 A site-specific kinetic sculptural Installation for the void space to Baker McKenzie, Barangaroo. 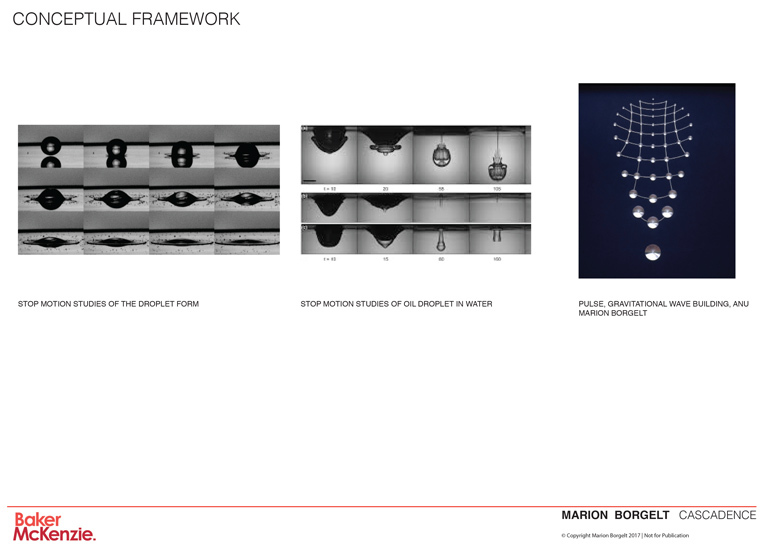 Formed in the overall shape of a droplet Cascadence is a multi-component, kinetic sculpture suspended within the void space. The cascading forms are a cadence of rotating dynamic colour, capturing the droplet moment before it falls into the void, suspending time itself. 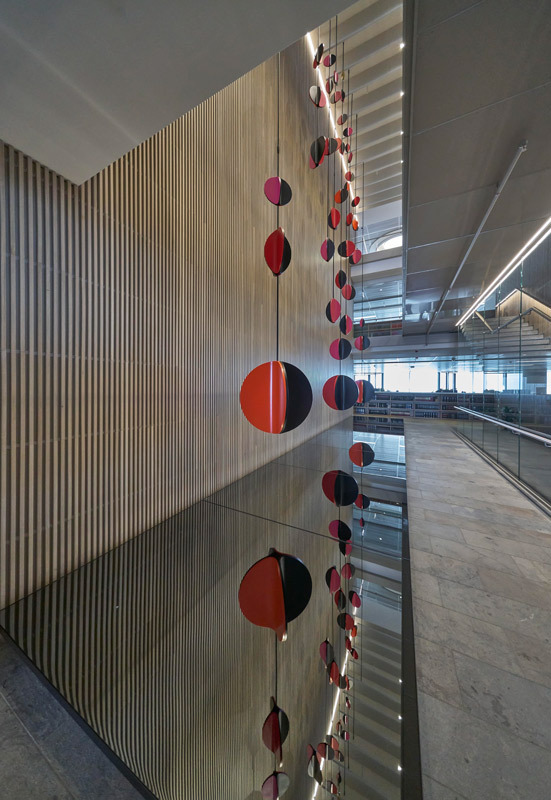 Each gradationally segmented orbital form is delicately balanced on slender steel rods as well as balanced within the overall form of the sculpture. 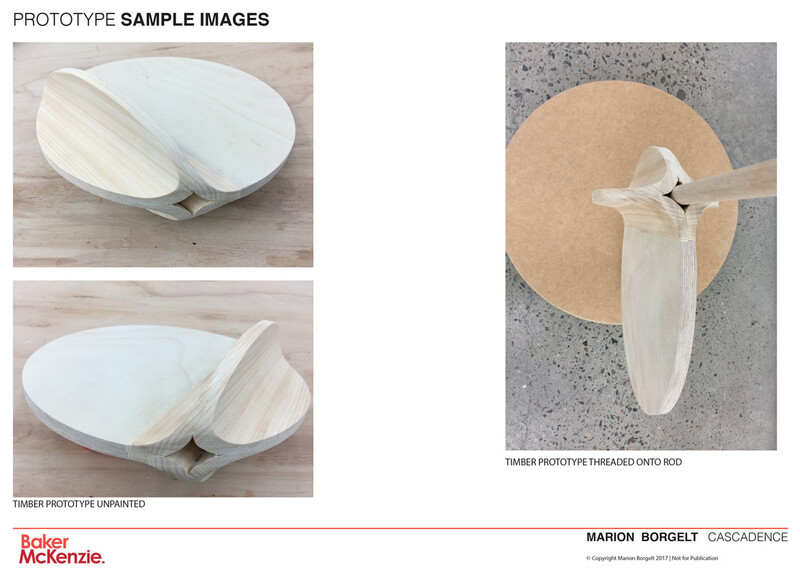 Working on many levels, this form references the gravitational forces acting upon it and indeed the idea of weight and balance pertinent to the world of law and justice. 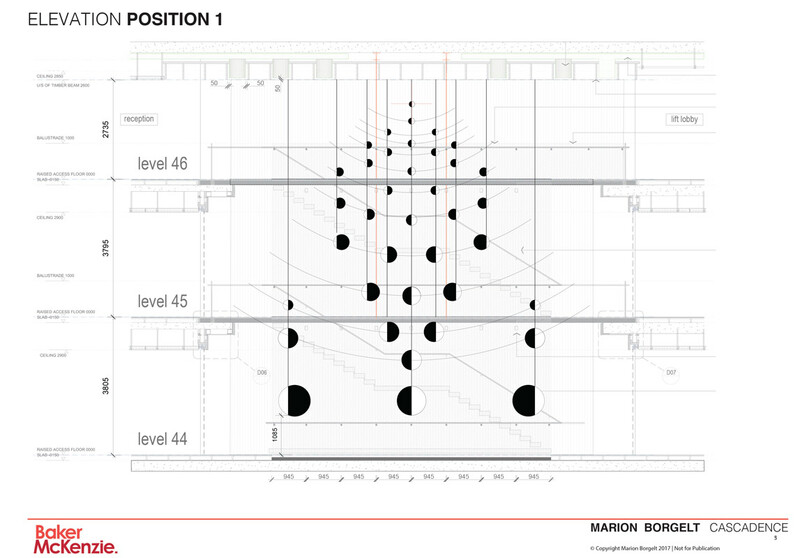 This work is powered by 8 motors concealed within the ceiling space. 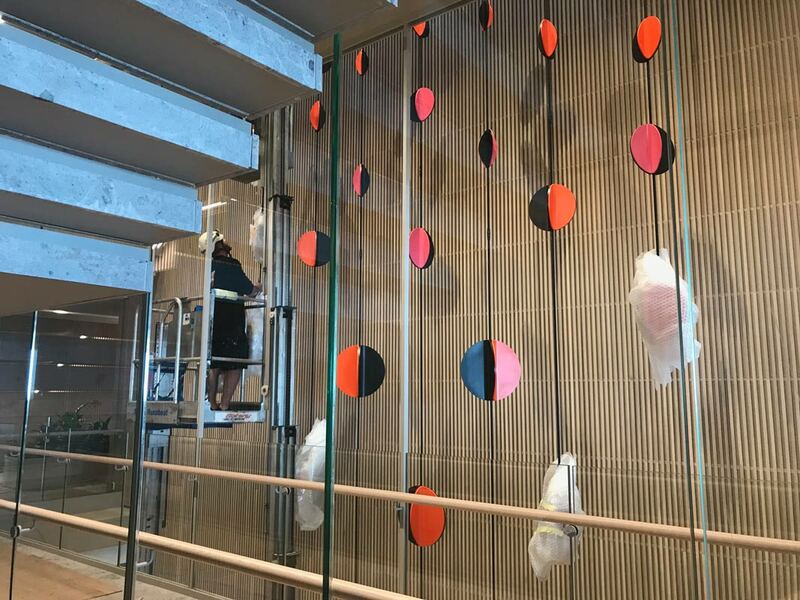 There were many logistical issues related to the location of this work in a 12m high void space on the 44th floor of tower one at Barangaroo. The tight time frame of 4 months was compounded by a tight budget and the complications of a kinetic work. 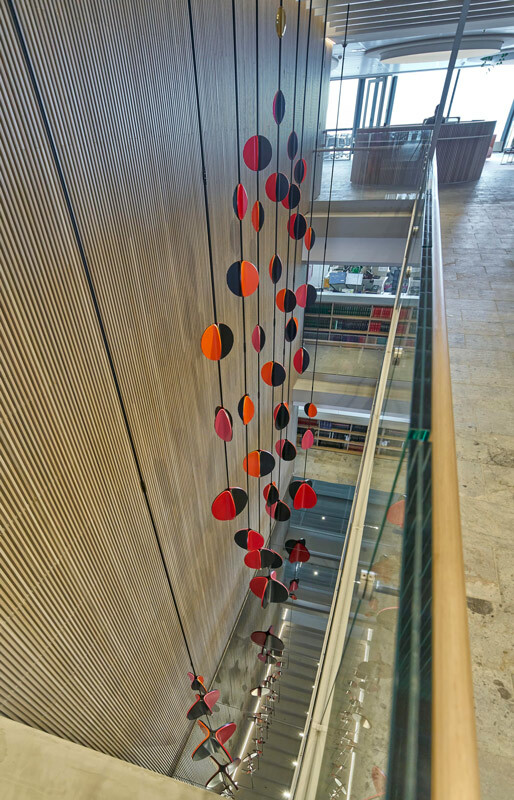 The artwork was installed on time and within the budget bringing colour and movement into the neutral work area.